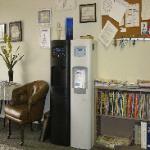 Oxygenated drinking water that you can trust, knowing that it is safe to drink. contaminates that are found in today's drinking water that our purification system removes. The final stage is our patented proses. the water thousands of times faster and safer than chlorinated products. 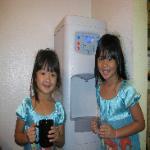 touch of a button, providing worry free pure water. your family are drinking water that is safe to drink.